I was able to snag a coveted ticket to The Book of Mormon and I thought it was hilarious, vulgar and downright awesome. To think that our city and its people were parodied for the entire county makes me giddy with pride. I'm all about Utah right now, and in honor of our famous state, I'm honoring the honeybee. Yes, that industrious little flying insect was designated the official insect of Utah in 1983 due to lobbying efforts of a 5th grade class. Utah was originally referred to as the State of Deseret. And what does "deseret" mean? Honeybee. Zest Kitchen & Bar (275 S. 200 West, 801-433-0589, ZestSLC.com) serves amazing gluten-free, vegan and organic food with specialty fresh juices and cocktails. 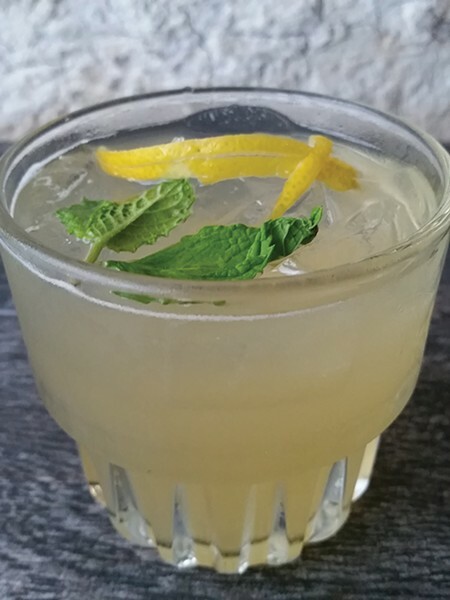 Owner Casey Staker has set the bar high with his signature drinks, which use fresh ingredients like local honey in this Salt Lake City Honeybee Cocktail: muddled mint, gin, Limoncello and local honey simple syrup topped with lemon ginger Kombucha, this cocktail has all the taste without the fake sugary mixers. Bloomingsales (Foothill Village, 1358 S. Foothill Drive, 801-583-9117, ShopBloomingsales.com) is stocked with treasures and gifts for the home. There is also jewelry, seasonal décor and fresh-cut flowers. 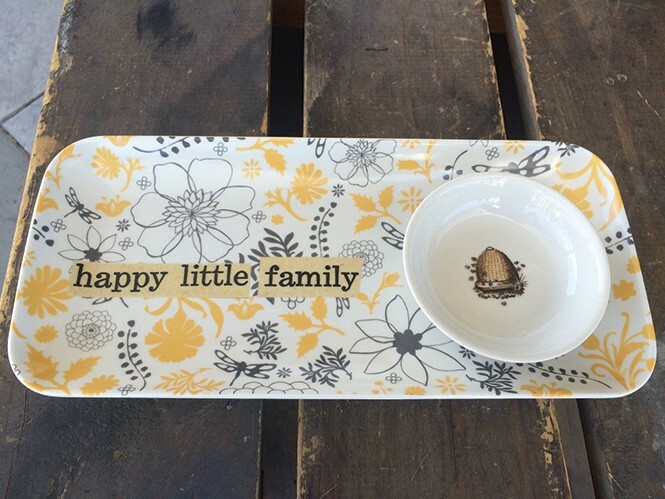 Honey Bee Tray and small bowl, Creative Co-Op, $28.95. Jolley's Gift & Floral (1676 E. 1300 South, 801-582-1625, JolleysGifts.com) is more than pharmacy. This family-owned business is noted for gifts, cards, ribbon, candy and seasonal décor. Where else could you find an entire section dedicated to bees? 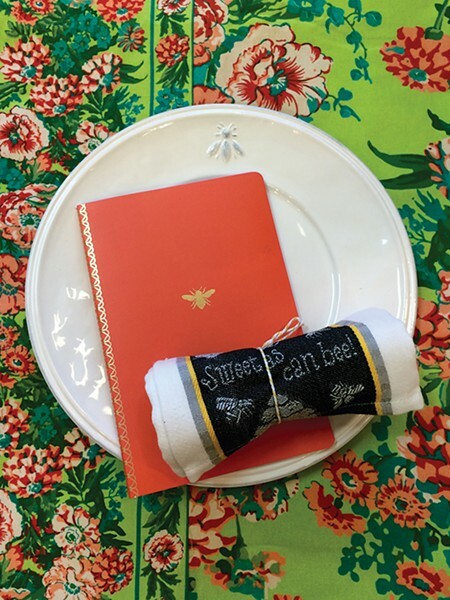 Bee white dinner plate, $16; lined orange notebook with gold bee from Totem, $8.25; honeybee dish towel, $7.50. Liberty Heights Fresh (1290 S. 1100 East, 801-467-2434, LibertyHeightsFresh.com) is my go-to spot for specialty foods like honey, picnic fare, cheese, veggies and fruits. It's always fresh, lots of local and they know you by name. Bees are "on" right now, as it is honey harvest time. 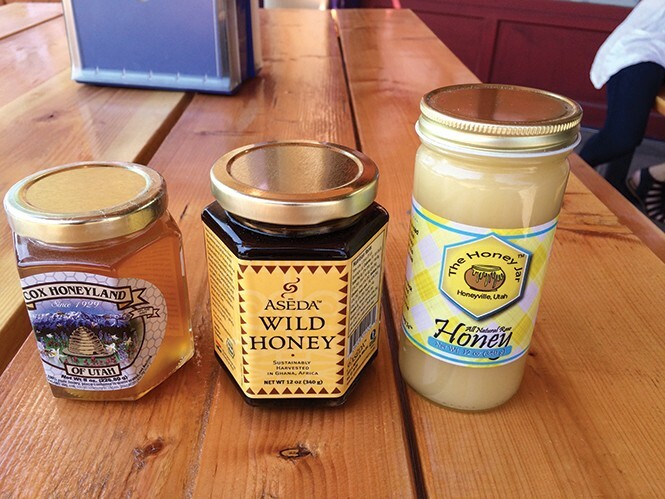 Cox Honeyland, Logan, $4.99; The Honey Jar, $6.99 raw from Honeyville; Aseda Wild Honey,$21.98: a rich smoky honey harvested in Ghana. Follow Christa on Twitter @ChristaZaro and Instagram @phillytoslc.